VTV4, the international channel of Vietnam’s state broadcaster VTV, has expanded its partnership with DW. A specially produced DW News segment is now being aired every Friday on VTV4’s morning “English News Bulletin”. VTV4 is expanding its English-language news and entertainment content and DW News makes a valuable contribution. Also in Vietnam, National Assembly TV (NaTV), is broadcasting the DW programs In Good Shape, Tomorrow Today, Check in and Arts.21 – in English with Vietnamese subtitles. NaTV, part of public broadcaster VOV TV, provides coverage of parliament, local politics and general news. Detik.com is Indonesia’s most popular news website with almost a billion monthly page views. Detik is also one of DW’s premier online partners in Asia and since last month, it has been including DW articles in Bahasa Indonesia as an important part of its international news content. Mongolsat Networks, a newly founded Mongolian DTH provider, is now including DW’s English-language in its basic package. Mongolsat broadcasts 40 TV channels. DW’s Urdu-language science magazine Sawal is being broadcast on Pakistan’s Express TV, one of the most popular news channels in the country. Nicavisión Canal 12, Nicaragua’s only nationwide terrestrial broadcaster, is showing Spanish-language news broadcasts and magazines from DW. Canal 12 calls itself Nicaragua’s only independent news broadcaster and values DW’s reputation as a source of quality international journalism. The Peruvian TV channel Quatro TV is acquiring a variety of Spanish-language DW programs for its line up. DW’s El reportero, La semana, Al volante, En forma, Enlaces and Todo gol will be available to around 500,000 households in Southern Peru via Quatro TV. 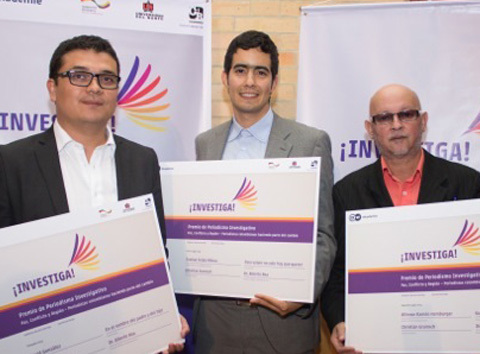 For the third time, DW Akademie has awarded its ¡Investiga! along with the Universidad del Norte in Bogota, Colombia. The prize for journalistic excellence is supported by CdR – an independent association of journalists in Bogota. This year, three pieces of research were presented, which all had to do with the topics of “peace, conflict and region”. David Gonzalez project about the murdered journalist Luis Eduardo Gomez and his murdered son was the winner of the ¡Investiga! this year. Alfonso Hamburger took second and Felipe Motoa placed third. As the contest’s winner, Gonzalez will be flown to Berlin to take part in a workshop, as well as going to Bonn to work side-by-side with online journalists in DW’s Spanish department. DW’s magazine about culture and the arts that was developed for Portuguese-speaking audiences has now been taken on by a new partner. Viewers throughout Brazil can now tune in to Camarote.21 on the Canal Futura. Part of the GLOBO media group, it’s the first, private TV channel in Brazil that exclusively broadcasts educational content. Canal Futura reaches 66 million households nationwide in Brazil. 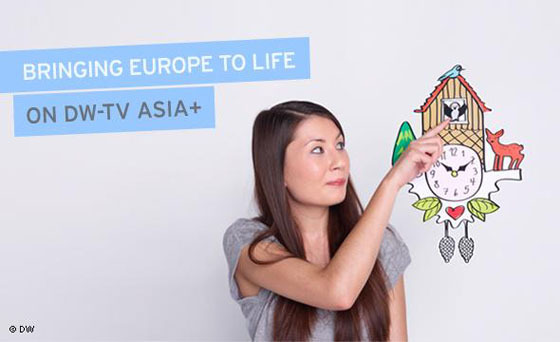 Okto, Singapore’s public broadcaster, will is including Arts.21 and Euromaxx Highlights into its lineup. Okto is available nationwide in Singapore and due to its availability on platforms like Singtel and Starhub, is one oft he most popular in the country. Shan Cable Network and Global Cable Network in Pakistan are now broadcasting DW’s English channel. These new partnership deals will make DW available in an additional 105,000 housholds. Ask people what German bands they’ve heard of, and they’re likely to say Rammstein or Kraftwerk. But Germany’s pop landscape is diverse with a lot to discover. With German Pop, DW has developed a series of podcasts with concerts and portraits covering the spectrum of German pop music. You can subscribe to the podcasts using iTunes or get a quick overview here. And if seeing is believing, check out popXport or Arts.21 – both of which offer insights into the German music scene.